This year’s CineClassics focuses on films of István Hildebrand, who is to receive the Lifetime Achievement Award of 2018, by Krzysztof Zanussi, this year’s recipient of Ambassador of the European Cinema award, and by Péter Tímár, the special affect artist turned director. The program offers audience favorites like ‘The Silence of the Lambs’ and ‘Clerks’. A masterclass and a book release are also part of the program this year. The Jameson CineFest’s Lifetime Achievement Award of 2018 goes to István Hildebrand. István Hildebrand, one of the most outstanding Hungarian cinematographer was born in 1928. He was the director of photography of the visually stunning productions of the 70s and 80s. Together with Márton Keleti and Zoltán Várkonyi he worked on films such as Men and Banners, Egy magyar nábob, Zoltán Kárpáthy or Sparrows are Birds Too, the newly re-mastered copy of which is screened at the CineFest in Miskolc. He also worked on popular European TV shows like the mini-series Michel Strogoff. One of his last works is a masterpiece of the era: Narcissus and Psyche, directed by Gábor Bódy in which Hildebrand used fantastic, revolutionary colorings and visual effects. The greatest Hungarian film festival wishes to pay tribute to one of the masters of Hungarian cinema by the Lifetime Achievement Award. The award is given at the award and closing gala of the Jameson CineFest on the 22nd of September. On the 21st of September Hildebrand’s outstanding career is celebrated by screening the re-mastered Sparrows are Birds Too and the portray documentary Jelenetek egy operatőr életéből directed by Tibor Kocsis and Emőke Konecsny. During his long and outstanding career Krzysztof Zanussi won the Golden Lion in Venice, the Jury Prize in Cannes, the Golden Leopard in Locarno and has been nominated to the Golden Globe as well. Zanussi, one of the major figures of European and international cinema, can only be described in superlatives – and imperatives. He is probably one of the most intellectual, most intelligent, purest and most detached (but also passionate and sentimental) directors of our time. He is also a professional in the best and purest sense of the world and speaks several languages. His heroes, mostly during times of historical and political unrest in Central Europe, seek for purity, morale and meaning in their lives and in their relationships that are irrespective of the era and the society. The director worked with starts like Vittorio Gassman, Daniel Olbrychski, Christoph Waltz, Raf Vallone, Max von Sydow, Zbigniew Zapasiewicz, Maja Komorowska, Robert Powell and Valeria Golino and directed world-famous films like ‘Camouflage’, ‘The Structure of Crystal’, ‘Spiral’, ‘Imperative’, ‘A Year of the Quiet Sun’ or ‘From a Far Country’ – the film presenting the early life of Pope John Paul II. His congenial partner, Sławomir Idziak who photographed 13 of Zanussi’s movies was awarded with the Lifetime Achievement Award of the Jameson CineFest in 2009. The leading Hungarian film festival pays tribute to Zanusssi, to the legendary artist with screening three of his masterpieces (‘Camouflage’, the Golden Lion winner ‘A Year of the Quiet Sun’ and ‘The Constant Factor’ – the winner of the Jury Prize in Cannes) and awarding him with the European Cinema Award. Krzysztof Zanussi will also head the International Jury at this year’s Jameson CineFest. The talented special effects artist directed fantastic comedies depicting the era, Kádár’s Hungary, with eerie clarity, fluency, playfulness, style and accuracy. He has proven his extraordinary skills first as Gábor Bódy’s editor. Tímár’s first feature film ‘Sound Eroticism’ (1986) and later on the ‘Dollybirds’ (1997) offer a painfully entertaining picture of the Kádár-era, while the ‘Moziklip’ of 1987 is more like a taste of life in Hungary with songs by Kentaur, Sziámi, the Napoleon Boulevard and László Komár. It is a game of language, lights, pictures, of film as a medium. Yoghurt, naked women, backslides, playing in the woods, romance in the lake and the love of life. Hundreds of thousands know and love Tímár’s pictures, special effects and bittersweet stories. „It is not enough to be Hungarian, you have to be talented as well” – they say it was written on the wall of a Hungarian producer in Hollywood. 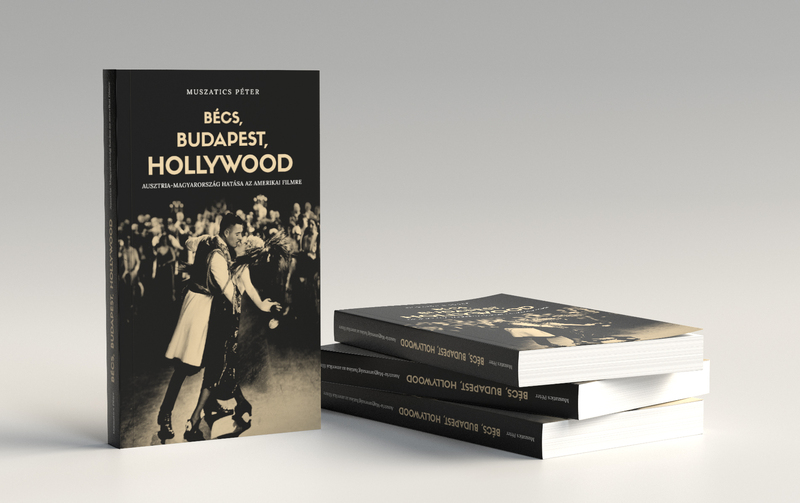 Péter Muszatics’ book on Central European filmmakers “Bécs, Budapest, Hollywood” (Kossuth Kiadó, 2018) takes us to a world of fantastic careers. The elite of the film industry from Erich von Stroheim to Billy Wilder, from Ferenc Molnár to Wes Anderson, from Ernst Lubitsch to Quentin Tarantino appear in the book and we might even learn the key of success, of human touch, of effective storytelling that have been brought to Hollywood by talented Central Europeans. The discussion with the author, Péter Muszatics and György Ráduly, the head of the Hungarian National Film Archive is moderated by László Kolozsi. The book can be purchased at a discounted price on 15 September, 2018 in the Béke screening room. At last but not least we shall not forget about two real gems of Hollywood: Kevin Smith’s first film ‘Clerks’ is screened as a joint program of the VHS conference while the Academy Award winning ‘The Silence of the Lambs’ follows the discussion “(Script)writing”.